director of the Virginia Speleological Survey, Vice President of the Butler Cave Conservation Society, and a Fellow of the National Speleological Society. 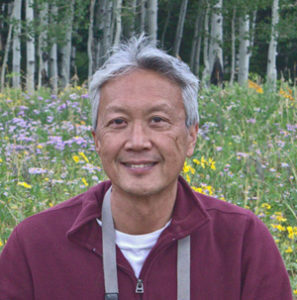 Daniel W. Fong is Associate Professor and a former chair of the Department of Biology at American University in Washington, D.C. Dan was a member of the Board of Directors of CCV from 1992 to 2003 and served as Vice President from 1994-1999. He is a member of the CCV Board again since 2006, serving as chair of the Membership Committee from 2006-2013, and is chair of the Grants and Awards Committee since 2013. Beginning in 2017, he is also managing the Undergraduate Research Scholarship Program of the Cave Conservancy Foundation. Dan holds a BA from University of California at Berkeley, an MS from University of Oklahoma, and a PhD from Northwestern University. His research focuses on the biodiversity of subterranean ecosystems in general and more specifically on the ecology, evolution and protection of groundwater crustaceans. Dan started caving in 1980 and has explored the biology of subterranean systems in many parts of the U.S. as well as Mexico and Europe. Three subterranean species have been named in his honor: a milliped from West Virginia (Pseudotremia fongi), an amphipod crustacean from Slovenia (Niphargus fongi), and an isopod crustacean from Croatia (Monolistra fongi). Dan is also a Fellow of the National Speleological Society, a former board member, former treasurer and former president of the Karst Waters Institute, co-founder and former managing editor of Speleobiology Notes, the on-line journal devoted to the natural history of subterranean organisms, and, along with Megan Porter of University of Hawaii and Mike Slay of The Nature Conservancy and funding from the Cave Conservancy Foundation, started a series of field guides to the cave life of different regions of the U.S.
Gary Fielden is a pediatric dentist in Kingsport, TN, where he has had a practice since 1979. He grew up in Brazil where his father flew as a bush pilot for the Foreign Mission Board. He received a B.S. in Zoology from the University of Tennessee, Knoxville and a dental degree from the University of Tennessee, Memphis. Gary started caving in the mid 1980’s with an interest in surveying and mapping the caves of South West Virginia and North East Tennessee. Although he has caved over much of the south, his favorite cave projects have been Corkscrew, Omega, and Doe Mountain in Virginia. He has also caved in Puerto Rico, Spain, and Alaska. Gary is the present Chair of Mountain Empire Grotto and serves on the Board of Directors for Appalachian Cave Conservancy. Bill is a District Conservationist for the USDA Natural Resources Conservation Service. He is a graduate from the University of Virginia’s College at Wise with a major in Environmental Science. 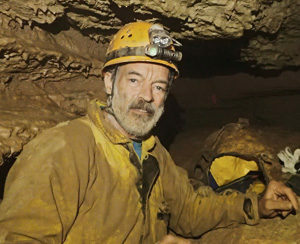 Bill started caving in 1983 and became involved in cave conservation issues, such as clean up and gating projects as well as cave rescue training. Bill has worked extensively in the Cedars Natural Area including the Unthanks Cave hydrology study and a Hydrogeological investigation of the Cedars (Lee co. VA). Bill has been involved in bat conservation efforts including assisting with inventories, habitat evaluation for NRCS and BCI workshops. Bill has been very active with sinkhole policy and issues in Virginia including the adoption of standards for sinkhole protection as a conservation practice. Bill served for two gubernatorial appointments to the Virginia Cave Board including 2 years as chairman. Maria is an Assistant Professor in Geography in West Virginia University’s Department of Geology and Geography. A cultural anthropologist by training (University of Michigan, 2012), she investigates the cultural and historical context of scientific practice. More specifically, she approaches science as a cultural activity. Caving serves as a case study through which Maria examines topics such as identity (who are we? what brings us together?) and place (how do places become meaningful?). 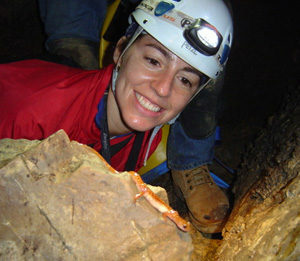 Her previous research investigated the history and practice of speleology in Venezuela, her country of origin. She is now busy with an exciting project on the history and future of collaboration among US and Cuban speleologists as a case of regional geo-politics and networking. She also plans to develop a project on caving in Appalachia. As a member of the CCV Board of Directors, Maria brings a comparative social scientist’s perspective on caving and cave conservation as cultural activities. She grew up in a family of cavers in Venezuela and is affiliated with the NSS, the Iowa Grotto, the Robertson Association, the West Virginia Association for Cave Studies, the Monongahela Grotto, and the Venezuelan Speleological Society. Maria lives in Morgantown, West Virginia—wonderful cave country—with her husband Erik and three daughters: Andrea, Bianca, and Carmen. Ira D. Sasowsky is Professor of Geosciences at the University of Akron (Ohio). His research specialization is karst, particularly cave origins, hydrogeology, and geomorphology. He earned his geology degrees from University of Delaware (BS) and Penn State (MS, PhD). Ira has served on the CCV board since 2005. 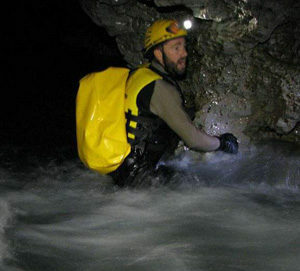 He has been a caver since 1977, initially focusing on the Virginias. His caving activities later expanded to Colorado and the Appalachian Plateau of Tennessee, as well as other parts of North America and Europe. 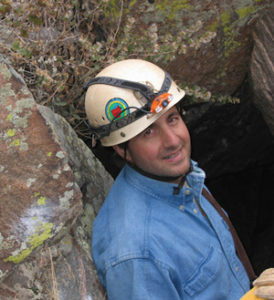 Ira is a Fellow and recipient of the Science award of the National Speleological Society. He was the former earth sciences editor for the Journal of Cave and Karst Studies. He currently serves as Secretary of the Karst Waters Institute. Madeline Schreiber is Professor and incoming Associate Department Head in the Department of Geosciences at Virginia Tech in Blacksburg, VA. She is also a Faculty Affiliate with the Global Change Center at Virginia Tech. Schreiber is a Fellow of the Geological Society of America (GSA) and has previously served as Chair of GSA’s Hydrogeology Division. Her BS degree is in geology from Yale University; her MS and PhD degrees are both from the University of Wisconsin-Madison in geology, with focus in hydrogeology. Schreiber and her research group use field observations, laboratory experiments and numerical models to tackle challenging questions about solute behavior in natural waters, with a practical goal of protecting water quality. 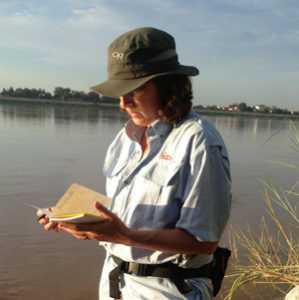 She teaches courses in introductory geology, hydrogeology, chemical hydrogeology, and advanced topics in hydrogeology/geochemistry. David R. Socky is a retired software systems engineer with General Electric at Salem, Virginia, and owner of Hodag Video Productions. Dave has been a member of the CCV Board since 2006, and is currently the webmaster for CCV. He holds two Bachelor degrees, one in Business Administration/Management from Ohio University and one in Electrical Engineering (EE) from Cleveland State University, as well as a Masters degree in EE from Virginia Tech. 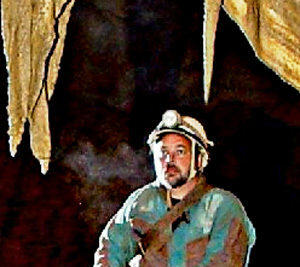 Dave started caving in 1974 and has surveyed and explored countless numbers of caves since, including Hellhole in West Virginia and Omega in Virginia, and is currently engaged in several survey and exploration projects. He is responsible for production of the video of Grand Caverns and an educational video of Mammoth Cave, and is a video production staff of the Photo Salon of the annual convention of the National Speleological Society. Dave is a Life Member and a Fellow of the NSS. He is also the Secretary of the NSS Video Section, Chair of the NSS AV Library and Chair of the NSS Video Salon. In addition, Dave is Editor of Carbide Dump, the newsletter of the Blue Ridge Grotto, a board member of the West Virginia Association for Cave Studies, a director of the Virginia Speleological Survey, and a member of the Cave Research Foundation. Janet Tinkham (National Speleological Society Member #24525) has been involved in caving and karst related projects for the last 31 years and is honored to be serving a second term on the Cave Conservancy of Virginias Board of Directors. In 1991 Janet became one of the founding members of the Front Royal Grotto (VA), a chapter of the National Speleological Society and currently serves as its Chair. In addition, she is currently Chair of the Virginia Region Land Owner Award Committee and in 2008 was honored to become a Fellow of the National Speleological Society. Much of Janet’s cave conservation experience came about through volunteer work with the VA Department of Conservation and Recreation Karst Project assisting with groundwater studies, Groundwater Festival workshops, Karst Model demonstrations at community events and development of a brochure “Sinkholes, Doorway to your Drinking Water”. In recent years she has been active with the Ogden’s Cave Stewardship Committee and looks forward to working with the Natural Heritage Program on Ogden’s Natural Cave Preserve conservation efforts. Many of these projects allowed Janet to gain valuable experience in relations with landowners, government officials and community members. Continuing to serve in areas of environmental education and cave and karst conservation is and will continue to be a lifelong commitment.